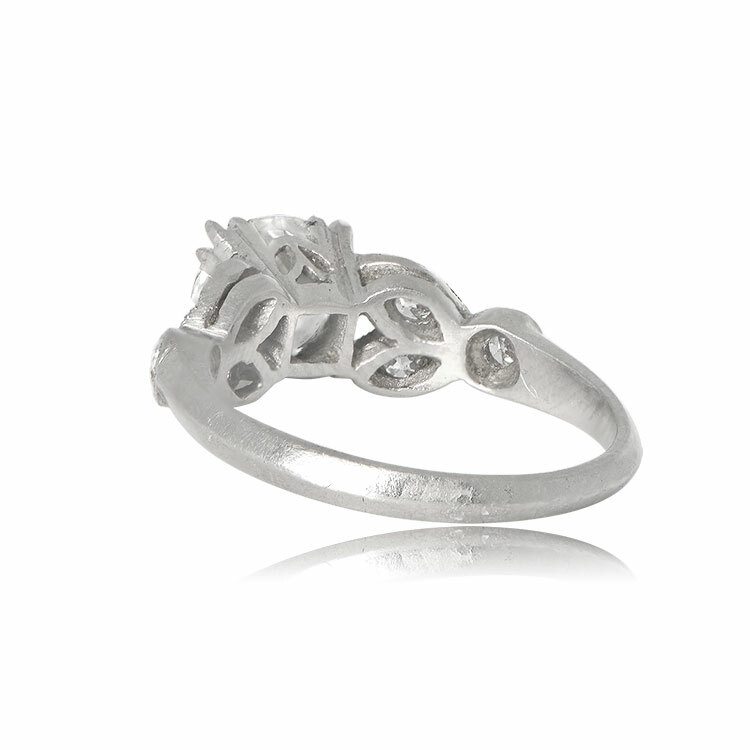 A beautiful Art Deco era Ring. 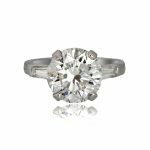 This stunning vintage engagement ring has a leaf motif along the shoulder with fine milgrain along the edges. 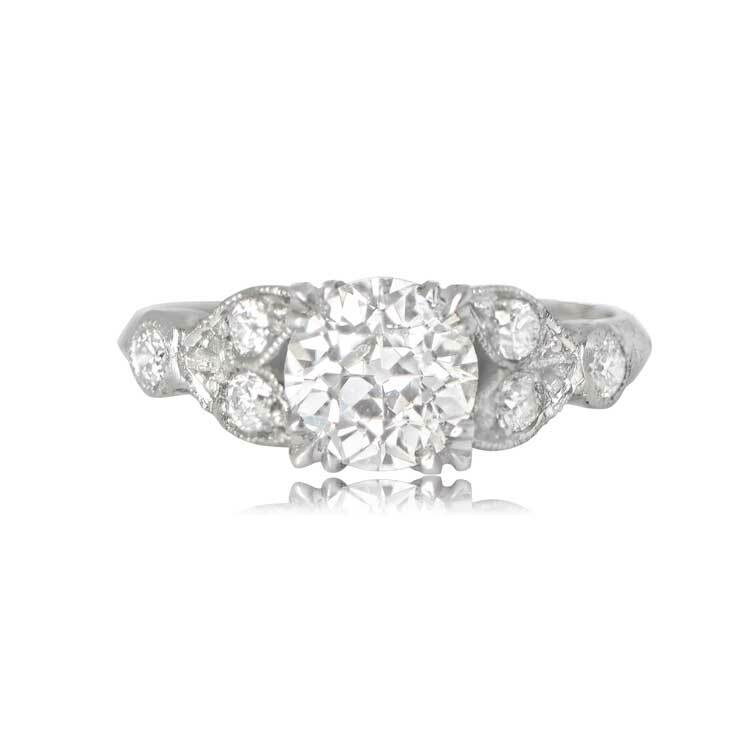 The GIA certified center old European diamond is prong set and 1.02ct, I color and VS2 clarity. 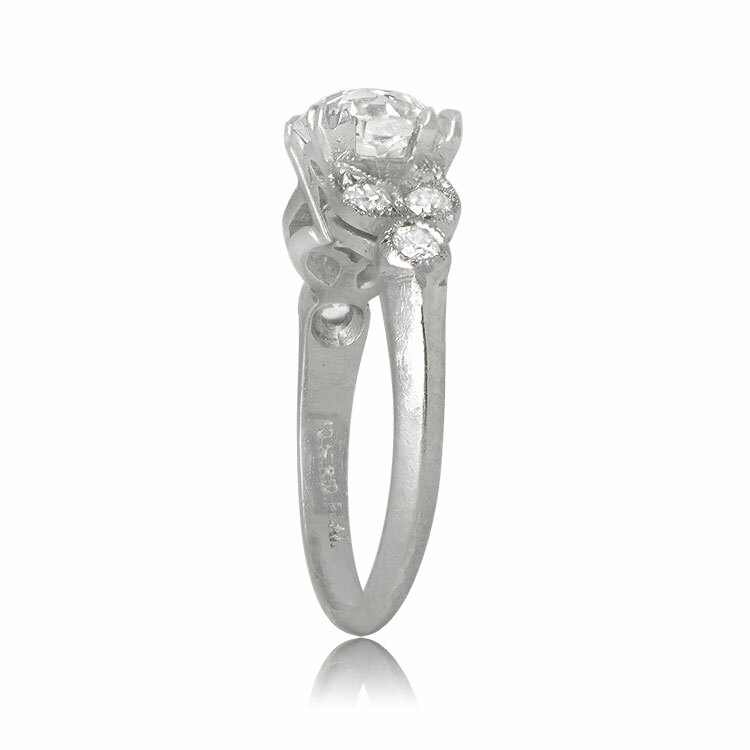 This platinum ring is hand-crafted and is from the Art Deco era, circa 1930. The known measurements of the center diamond are 6.25mm x 6.34mm x 4.16mm. 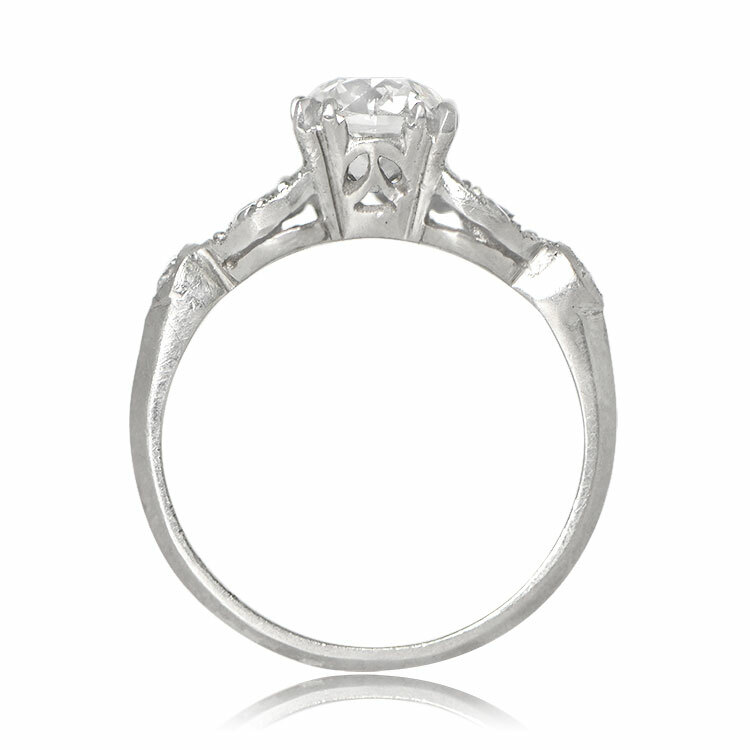 A copy of the GIA for the center diamond is available upon request. 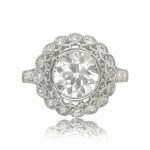 SKU: 12297 Categories: Old European Engagement Rings, Old Mine Engagement Rings, Vintage Engagement Rings - Contact us and request additional pictures.